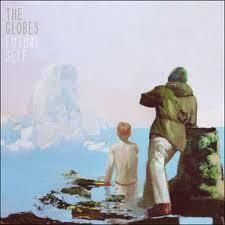 The Globes' album Future Self, released by Barsuk Records in early May, was produced by John Goodmanson, who also did albums with the likes of Blonde Redhead, Sleater Kinney, and Death Cab for Cutie- not shabby company for a debut LP. Future Self opener "Haunted By Bears" sets a precedent for the rest of the album. Throughout, there are many dynamic shifts that in less practiced hands would come off as cloying or overly busy for the sake of being busy. The track opens with a direct, full sound that is warm and dreamy until around the midway point, where the song climaxes in a blast of guitar noise, quickly rolling drums, and a mellifluous, urgent vocal melody riding over the waves repeating "Stay golden for me." The song has several dynamic shifts after this, but what "Haunted By Bears" signals and the rest of the able maintains is a loving labor for song craft with interweaving lines that are never showy and always in accord. The band lineup is traditional guitar, bass, and drum, but the ways in which these ambitious youngsters assemble their compositions is often striking in its diversity and complexity. On "Stay Awake," The Globes seamlessly slide between mathy bass riffs, alt rock fist-pump swagger complete with solos that feel neither tacked on nor excessive, and rhythmic noise elements that create an ominous, if not downright foreboding atmosphere. Future Self is a fully realized effort of dizzying post-rock at its most angst-filled and fulfilling. The Globes have few comparative parallels with current indie bands- this is a very good thing. The band lineup is traditional guitar, bass, and drum, but the ways in which these ambitious youngsters assemble their compositions is often striking in its diversity and complexity. On "Stay Awake", The Globes seamlessly slide between mathy bass riffs, alt rock fist-pump swagger complete with solos that feel neither tacked on nor excessive, and rhythmic noise elements that create an ominous, if not downright foreboding atmosphere. Future Self is a fully realized effort of dizzying post-rock at its most angst-filled and fulfilling. The Globes have few comparative parallels with current indie bands- this is a very good thing. Deli NYC issue #26 is out! Read it online in pdf format! 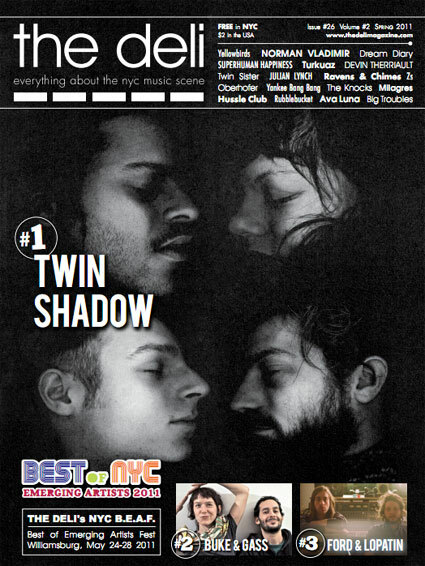 Click on the cover image (or here) to get to the pdf file - it's The Deli's Best of NYC issue! LA Deli issue #8 is online! 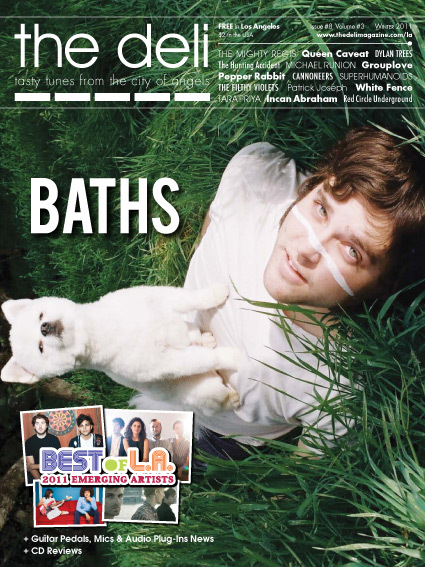 The 8th issue of The Deli LA (Best of LA 2011 issue) is available online HERE! The printed version will hit the streets of Los Angeles next week. The Deli's SXSW channel with SXSW news aggregator is on! Check out the new Deli SXSW channel, featuring (on the right) a nifty aggregator of SXSW related news from the main music blogs out there.